Has this ever been you? You are having guests for dinner and you are doing everything last minute because you are rushed for time? You can’t find 8 matching cloth napkins that aren’t stained and you aren’t using your beautiful white tablecloth because you don’t have time to iron it. You only have five wine glasses without chips and two candlestick stubs to put in your candlesticks. So now, you are regretting inviting your friends for dinner in the first place. UGH!!!! If only you were more organized!!!! It’s important to know what you have, what you need and where you have it! That’s the job of a Tableware Inventory! This is one must-read post! 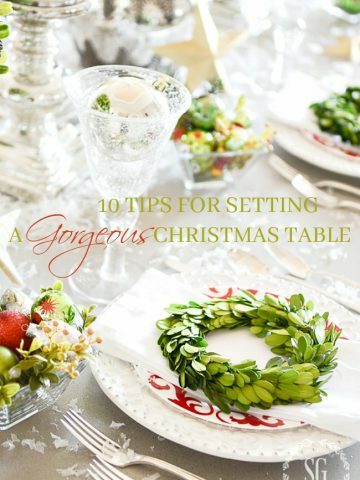 Today we are talking about DECORATING YOUR DINING ROOM TABLE. Not decorating it for a season or holiday but decorating it for every day! What do you put on the big expanse of your dining room table to make it add to the beauty of your room and your home. We have lots to say about this and lots of laughs too! And make sure to listen to any or all episodes of DTT HERE. Today is PRACTICALLY SPEAKING! You and I talk honestly about all things home and I often share ideas to make the art of homemaking smarter, better and more sensible! Let’s love our homes and love taking care of it! 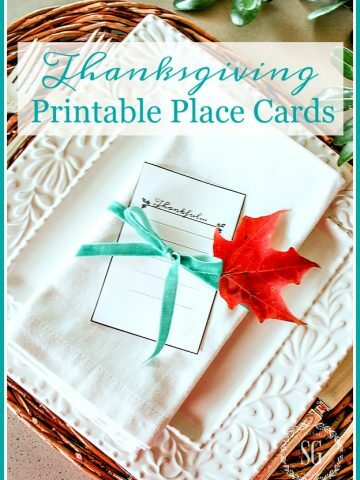 Many of us are hosting Thanksgiving dinner so we want to be ready without any surprises!!!! Now let’s talk about creating a tableware inventory. I’m posting this with Thanksgiving in mind. But an inventory is useful 365 days of the year! This idea is really brilliant if you waste time looking for things you are not able to put your hands on!!!! 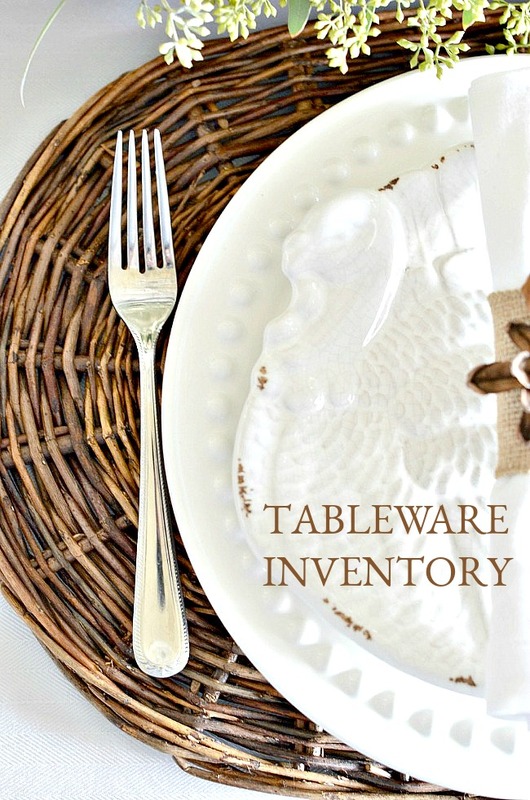 I look at a tableware inventory as a way to know what I have, know what I need and know what I would like to have for my table. And most importantly for me, to know where what I have is! I used to put every piece of tableware I owned on 5 x 7 cards, but I lost the cards so they weren’t much use. Then I went to 3 x 5 cards which I put in a file box with dividers. That worked great!!!! But I was always carrying around a box. Then I moved my inventory to a google doc which worked pretty good and now I use my smartphone. It’s so much easier to snap a picture of what I have and keep lists of things for my table in Evernote (a free app). I carry my phone everywhere so I have my inventory and images when I need them. Not only do I have a list of what I have and what I need and what I would like to have I also have images of everything I need to set a table and I can start selecting what I’ll put on the table before I even take out one thing to set it! Really it does not matter how you organize and know what you have and what you need and where it all is. You can go high tech or write your inventory with pen and paper! It’s all about what you will use! My tableware inventory will be different than yours. An inventory is a very personal thing and reflects who you are and your style. I take a pictures of all my candlesticks and keep them on my smartphone. Right now I am working on putting all my candlesticks together on a shelf in the basement. So I know just where they are! You might think this is a little bit of organizing overkill, but nothing makes me crazier than not being able to find what I need. So knowing that I have 8 mercury glass chunky candlesticks down on the candlestick shelf in the basement is freeing and wonderful and makes my life so so easy! Because this is a big part of what I do every day for a living and because I find immense satisfaction setting a lovely table this inventory system a real gem! And it will work for you too! A little word to the wise when creating a tableware inventory… this is a great time to purge! Curate your collection of dishes and tableware. Only keep what you love! Throw out or give away things you have not used in a few years and make this an ongoing process. Start your inventory now and by Thanksgiving, you just might know where the gravy boat is or your squirrel salt and pepper shakers are stored away! If you are enjoying my Practically Speaking series please let me know so I will continue it. Thanks! I’m so happy I came across this particular article. I’ve been reading your blog on and off for several years, but more intensely these days since we bought a new house several months ago. Anyway, I love everything you do, and am learning a lot. But I’ve realized as I curate more and more seasonal items, table ware, bar ware, etc. that keeping everything NOT in use is becoming very chaotic. I have a large storage room in my basement with shelving, but even this has gotten out of control. My question is: can you show us how you keep your entertaining and decorating inventory? I have my holiday stuff settled, but the rest….oh my! How do you manage storing all your unused, especially delicate, inventory???? Any help, behind the scenes, would be greatly appreciated. Great question for another blog! Look for one soon! Please continue with your tableware inventory. This is great stuff. Your love to see photos. Yvonne, thanks for great advice on tableware inventory. I have been purging this week in our home and it feels so good! Putting your photos on your phone of what you have is a great idea. Thanks! Great post, Yvonne. Going to check-out Evernote now. Seems like it would come in handy for LOTS of inventories! Love, Love all your decorating & ideas……you go girl! Here’s a tip for those of us with limited funds…I’ve been admiring several sets of vintage looking silverware available lately. I really liked Pottery Barn antique silver sentiment. And world market Denali (not sure if I spelled that right)But they were too expensive for me. Then I thought why not look for the real vintage thing! I scored a pewter set of Lunt Jefferson pewter flatware on EBay for $50.00. Then I got a set of International Beacon Hill silverplate for $16.00. It doesn’t even look used! I love them both even more than the current day offerings! There are so many different patterns available. I’m sure everyone could find a beautiful bargain! Hi, Yvonne…I just marvel at the quality, quantity, and variety of your posts. You are truly gifted at what you do, and such an inspiration! You mentioned your willow chargers could be purchased at hayneedle. They only have dark brown available. Is that the color you have displayed in this post? Yours seem like they may be lighter. Thanks for your time and help. Keep shining! Hi Lynn, the color of my chargers are dark brown. I love them and I bet you will too! Yvonne, you are definitely speaking my language! I struggle to organize, it does not come easy or natural for me, but I do love everything organized and categorized and able to be found when I need it. I will attempt to implement your system, I know it would be so worth the time it will take to get everything together and photographed. Thank you so much! I love Practically Speaking! 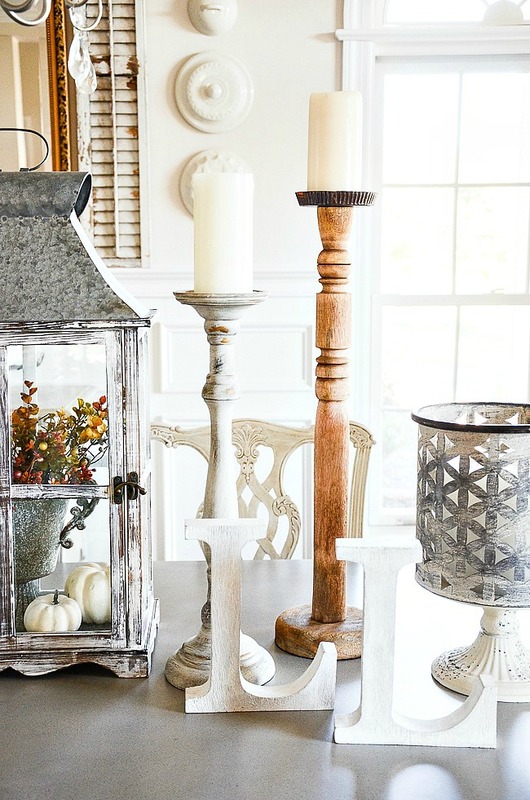 I love candle sticks & have a nice variety … keeping the right candles on hand is a big job! I enjoy your blog … wish the font was darker as I have to make it big to read comfortably ? This is such an ingenious post! I love to see how other people organize some of the same things that I have. Why not learn from a master tablescaper?! Thank you for sharing this bit of inspiration and with pictures! ? I love this idea! As usual, you make me think of things that make so much sense. I just never thought of it! I am always telling my mother all the organizing tips you give and she agrees that you are a genius!! Thank you! Oh my what a time saver a tableware inventory would be. I love this idea and the app Evernote is a great start. Thank you for sharing such practical advice! I enjoyed your Practically Speaking subject of doing a tableware inventory. I think this is a really good idea that helps with stress levels and especially so during the holidays when family and friends are coming to visit. I wish you posted this list last week. I’m sure everyone also has the moment when they open up their utensil draw and say, I had service for 12, why do I only have 6 forks. Now I know why, at the time I thought my cousin was crazy, but she counts her silverware after dinner parties, while cleaning up. Anyway, I just bought a new service for eight, which blends very well with my existing ones. Now I need more white dishes. Thanks, Yvonne. Have done that with silverware, but not the rest. Great idea. Yes, please continue. You are a stress, as well as timesaver. Not to mention, an enormous blessing. Yvonne taking this a step further, – have been thinking about this post all day (getting excited LOL), can you maybe give a screen shot of your evernote list of your inventory. You have encouraged to start the purge, there are far too many things I haven’t used in forever, that need to find new homes. What am I keeping them for? The inventory list really makes sense. Thank you. Yvonne, excellent organization idea! This will be so helpful for me and reduce my stress! I love your ideas and tips, and look forward to your posts! By the way, I’m looking for the smocked drapery panels that you used in one of your guest rooms…would you be willing to share where you found them ?! Thanks! Hi Michelle, Those gorgeous curtains are from paintedfox.com. Find them in the Thistlewood Farm collection. Wow! One of the must important posts yet! I really need to do a written inventory for holiday or any dinner entertainment! I do forget what I have and always st the last minute I’m scrambling to find what I need.. usually not much but enough to make it inconvenient! Many thanks for this incredible post!! Yvonne, thank you so much for sharing your tips and tricks for hosting parties, household tips, cleaning tips, decorating tips, etc. I have learned so much from you in the last couple of years following your blog. I am not new at keeping a home but it is awesome to have fresh ideas. My husband and I are completing a renovation of our home. I used design tips from you and our home looks awesome. My next step is to organize and purge, purge, purge our house. These are great tips. Please keep them coming. Thank you again. 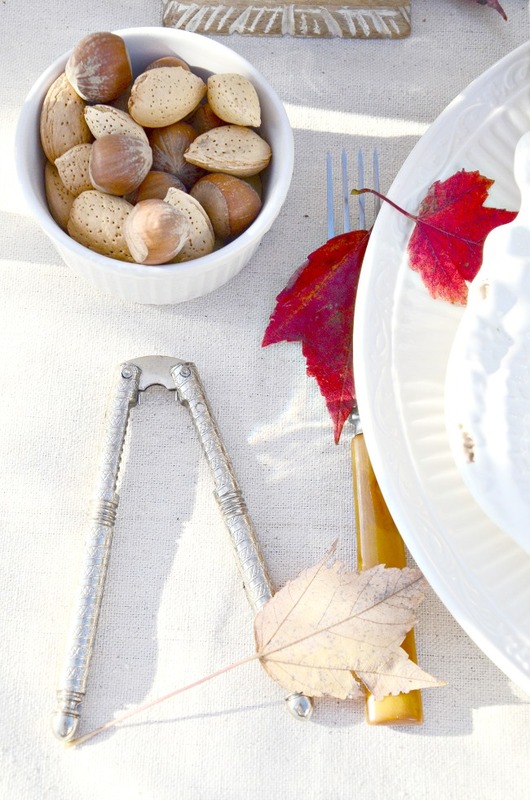 I love the idea of taking pictures of table settings, etc…that way you can see what you have! I love this idea, it’s right up my alley – i don’t have a basement storage option sadly. I’l look into evernote, i’m not particularly techie so it might take a while. This is a great post! Having things organized and inventoried prevents me from purchasing duplicates and items I don’t need just because I can’t see them! Loved practically speaking! Very heloful. Great ideas! Now if I only had a basement, I’d be in heaven! This article arrived in my Facebook feed at the perfect time! We have two attic zones and we recently converted one to all seasonal decor and entertaining items of every type. I will definitely follow through with this inventory idea to feel more prepared, not rushed, as each Holiday approaches. Thank you for sharing your ideas! Great ideas. I hang all my table cloths in the closet of my office. Napkins are in seasonal boxes as are place mats, runners, and kitchen towels. I have several sets of dishes – most inherited – so always seem to have everything needed as well as candle sticks. I will say this, though, one of the lovely tables I’ve ever seen for a luncheon was done by a dear friend when I got engaged. She and her husband hadn’t been married very long and so supplies were limited. Every other place setting was different as was the flat ware and glass ware. It was special not only because she planned a beautiful luncheon, but also because she used what she had and with the addition of flowers everything coordinated beautifully. Great reminder…especially with the Holidays coming! You are so right on…it helps immensely. I keep my list in a binder (keep it in the back of the china cabinet for easy access), with tabs for the different items, similar to what you listed: tableclothes, napkins, dish sets, glasses, etc. I also have pictures of my relevant items in each category. One additional thing I do. I take a picture of the table setting I create for specific guests so I don’t repeat the same thing next time I invite those same guests to dinner! I keep a tab in the binder for these pictures as well! I enjoy the Practically Speaking series. This one on Table Setting Inventory was especially helpful. Wish you had gone further by showing your pictures and examples of exactly what you put on the Evernote App. I am in year 2 of a 5 year plan to downsize. We are still enjoying our home in the meantime, but I think doing this now will make it easier when the time comes to sell. I used to do about 10-20 dinners a year and had a collection of linens. Just a hint – after washing and ironing tablecloths I gently folded them and placed them on big jumbo drapery/coat hangers from the dry cleaner. They have a big roll of foam on them so they don’t crease. I pinned a little note on each one the size of each so I didn’t go crazy looking for the right one. Another hint – one day I went into Burlington Coat Factory, and they had a great selection of cheaply priced dinner napkins and it has become my go to place. Another hint – I purchased 6 very expensive wooden chargers from a nationally known store one morning — then went to get groceries- and there were beautiful wooden chargers that I thought were nicer and less than half the price! I learned a valuable lesson that day that when looking for items for our homes you can find them in the most unlikely places. I think it is very smart to be so organized. It really does help !!! Great advice! It’s always good to plan ahead and with a inventory like this, you will always know what you have and what you need. This is brilliant!!! Not only for a tabletop inventory but for anything stored. I wish I had done this before I boxed up and stored many of my things in the attic after my daughter and her family moved in. I did label the boxes but what good is that when I have to go into the attic and read every box to find what I want. ???. you can bet I will use your idea from now on. It is time for my things to come out of attic and some will go back in storage in the garage this time. But with your inventory system being used. Thank you so much!!! I love this post. Please keep them coming! Such great ideas in this post. Thank you!! What a great idea to inventory the dining room. Please keep the ideas coming!! My inventory is small, short on storage space in this house, no basement but I try to be organized so I’m not going crazy !! Thanks for the great tip! I always wait until the day before to set my table and then can’t find anything. Having the information in Evernote is priceless! Great practical advice! 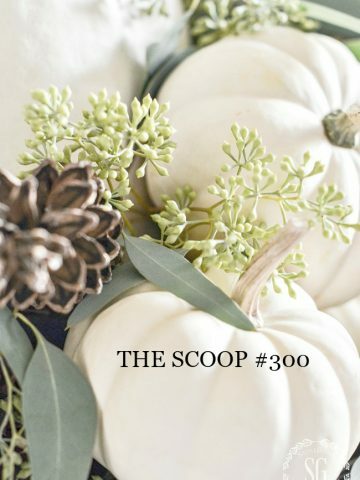 For those of us with limited space ( no basement) , I’ve always thought it good to go neutral with decor items so that you can mix and match through the seasons. Love your helpful list. Thank you! That is such a great piece of advice, JC!!!! Neutrals are the way to go when space is limited. So easy to mix and match what you have! This current post about Tableware inventory is just the inspiration that I need! Please keep it coming! Who doesn’t need practical advice?! 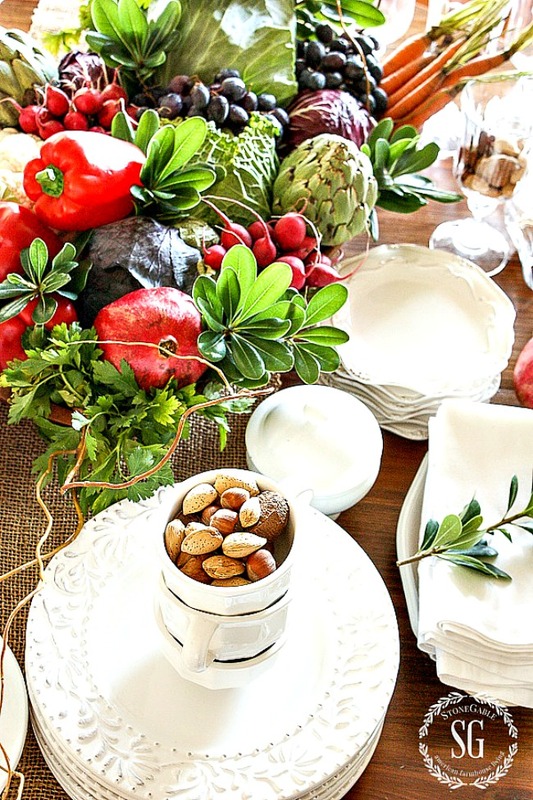 Love this piece on organizing tableware and decorations. I’ve spent so much time looking for stuff since our kitchen re-do in Feb/Mar, and this will make a great solution to tracking down and recording where I put everything. Re-organizing is the worst since I constantly keep thinking, “I remember the this was there, but where is it now?” I’ll appreciate all your organization ideas. And I’ve often wondered where you store all your off-season stuff. In the basement? I have quite a bit of storage in my home. We took out a coat closet in the foyer and Bobby made a dish closet for me. And I LOVE it!!!! So most of my dishes and glasses are there. Other things like candlesticks go to the basement! I have been going through my table cloths and I also note how many table leaves each one takes. Keeping the lists on my smartphone really helps when I am out shopping and don’t recall what color, size etc. I love pinners!!!! Thanks so much! I am in the process of reorganizing and purging my dishes etc. I have lists of what I have and what I am on the look out for. This is an excellent idea and will make entertaining so much easier. I am in the process of designing new storage space so everything is easier to get to. I also have photos when I am on the hunt for a piece or two. Love your ideas and photos. A large three ring binder, plastic sleeves and separator tabs work for me. Place pictures and corresponding inventory in sleeves. When I’m ready to entertain I just grab the binder from the bookshelf. I have everything together so I know where to find them. If you look at Susan’s pictures (Between Naps on the Porch) of her garage from one of her recent posts, you will see that she added white laminated cabinet storage that she put together herself. She bought some of them from Walmart. This is what I’ve had for years and it works great. All the dishes, candlestick, glassware, etc. are together with the large pieces placed on top of the units. This is also a great idea too. I use binders a lot but hadn’t thought of one for a tabletop inventory. I used to use binders but putting everything on my phone is sooooo much easier. Bottom line… do what works for you though! Garages are for storing more than cars! Hi- Love your blog! Can you tell me where to find those wicker chargers? or something similar? Thanks! Hi Susan, I found them on Hayneedle. You can find them there. Pier1 has some I just purchased that are similar! I am hunting for those vintagy turkey plates! Try Pottery Barn Laurie. They have gorgeous turkey plates this year. I need to do this. Add to that, I need to write down, when and what my one of two daughter’s have borrowed. Great idea! It so appeals to my OCD nature! I have been trying to create an dish inventory as well. Most of my dishes and glasses are vintage and I am always on the lookout for missing pieces of partial sets that I have found. I started by taking a picture of the front and any marking on the back and then I put the pictures in a little photo booklet, one of those cheap plastic ones with maybe eight plastic sleeves. I printed the photos of the front and the back and tucked them into a sleeve. Each pattern gets its own sleeve. I then added a slightly longer piece of cardstock between the photos with a list of the pieces that I have. That piece of cardstock is longer so that I can easily remove it from between the front and back photos to check while shopping. My problem is that I don’t always carry the little albums with me and I am not very good about keeping the list current. I like your phone idea. At least then I would always have the list. Great ideas! I love to be organized looking for things at the last minute drives me crazy. It also takes the fun out of it. Yvonne, you can rest your case. I have absolutely NO idea where my gravy boat is currently calling home!!! You always have such great practical ideas!! Yes I love your Practically Speaking series! Please don’t! Anderson is beautiful! Happy Birthday! Blessings! I enjoyed this post so very much. 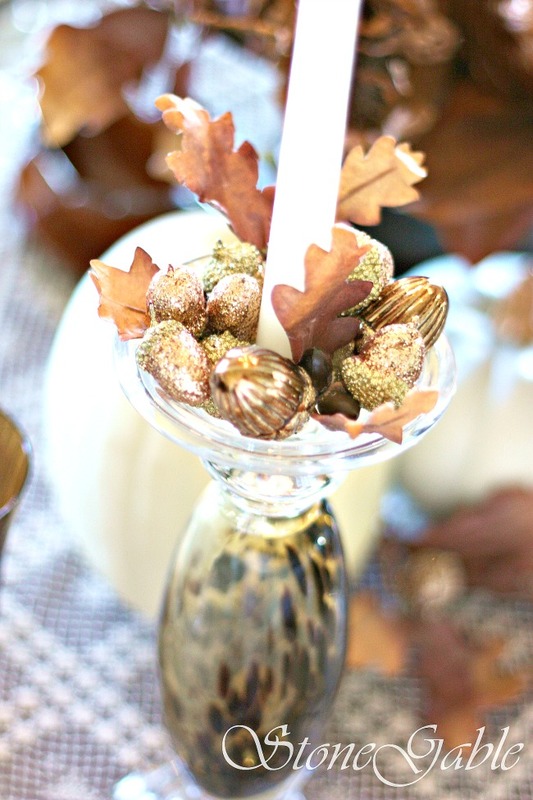 I am one who hesitates when putting things together, but after reading your post, I am going to start working on my inventory of the things that make my table beautiful all year long and not just at holidays. 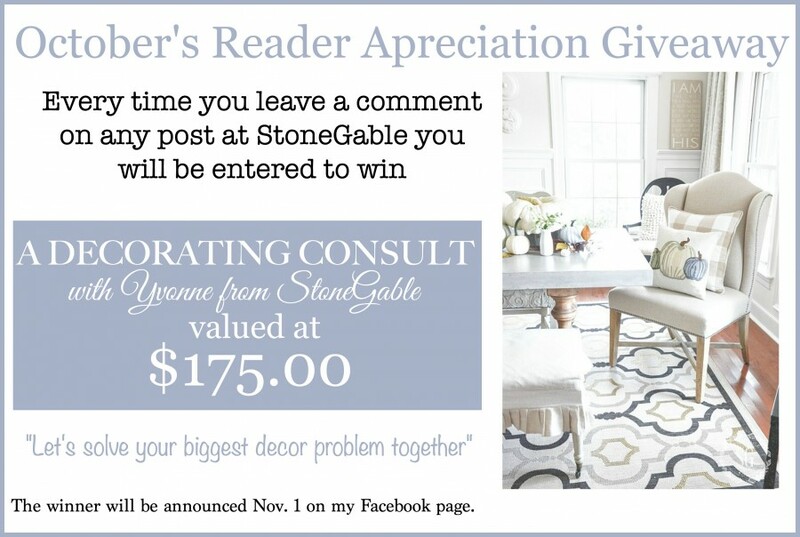 I love decorating and your post is my most favorite because you give such good advice. Keep all the ideas , information, and advice coming. You are a special person and I appreciate you sharing your life with others. I love this post. I am often frustrated because I can’t find items that I need easily. I’m in the process of purging and organizing, and I appreciate your suggestions very much. What a good idea! Thanks for sharing your wisdom.